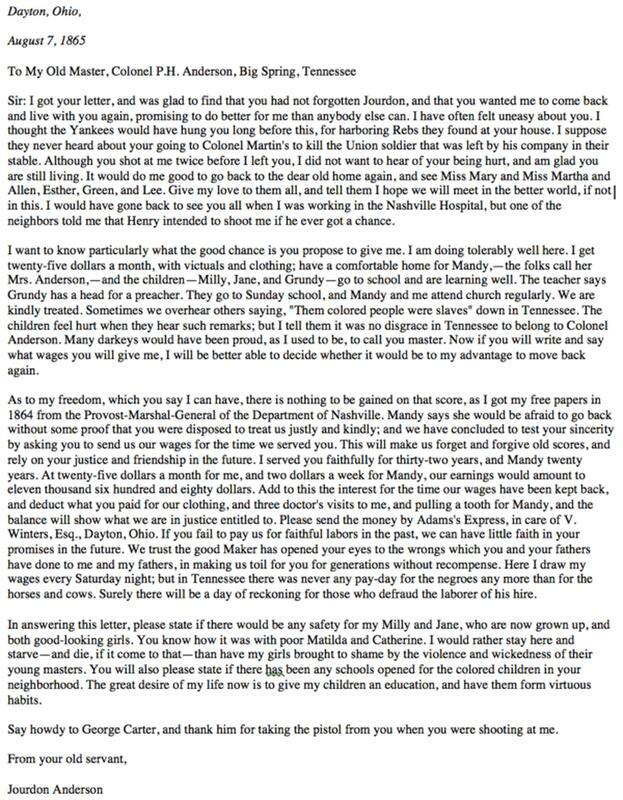 By August of 1865, Jourdon Anderson was able to receive a letter from his previous owner. Within the letter, Colonel P.H. Anderson was asking Jourdon Anderson to go back to the Tennessee farm that he had been liberated from the past year. Apparently, it was much harder to maintain a business running if workers were paid. 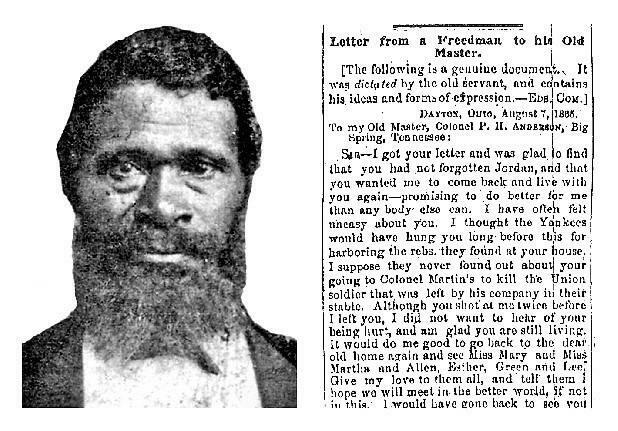 Naturally, Anderson chose to decline the offer and wrote a letter explaining that he preferred to have a life as a free man in Ohio. Taking the opportunity, Anderson also included asking for the wages he and his family were owed because of the 32 years unpaid labor. The tallied amount had a total of $11,680, plus interest. Anderson, with 11 children, remained living in Ohio until 1907 when he passed away at 81 years old.